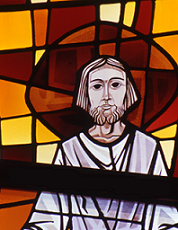 The purpose of the Parish Pastoral Council, as stated in its by-laws, is to serve as “an apostolic vehicle through which a representative body of the people in Saint Christine Parish, in communion with their pastor and with one another, meet to deliberate and resolve in common agreement those matters for which they are responsible and which concern the good of the Church.” In short, the Parish Pastoral Council is a communion of persons from the parish concerned with the pastoral mission of the parish. It meets regularly to hear reports from staff and committee heads, and through consensus, to address any problems, concerns and to set the future vision of the parish. Membership includes the pastor, associate pastor, pastoral associate, principal, director faith formation, and a deacon. It also includes the five committee chairpersons appointed by the pastor, and eleven persons elected by the parishioners for a three-year term, plus two high school youth representatives. Membership on the Parish Pastoral Council provides an opportunity to participate in a special way in setting the vision of the parish for the future, and in participating in the on-going mission of the parish. For more information about our Parish Council, please contact Rev. Fr. John Keehner – 330-792-3829 – or by email.